Love, Marilyn internationally premiered as a Gala Presentation Film at the 2012 Toronto International Film Festival. It screened at the Telluride, London, and Houston 2012 Film Festivals, and was the opening night film of the 2012 Hamptons Film Festival. It is in worldwide theatrical release by Studiocanal and Submarine Deluxe, and will be broadcast by HBO in the spring of 2013. Marilyn Monroe invented her public persona at the expense of concealing a private side known only to her close confidants. Fifty years after her death, her creation still blazes brightly in our cultural imagination, while the creator continues to lurk in the shadows. 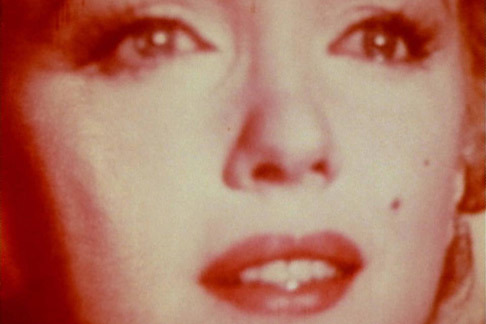 Drawing on never-before-seen personal papers, diaries and letters, Liz Garbus works with acclaimed actresses to evoke the multiple aspects of the real Marilyn—passion, ambition, soul-searching, power and fear—in an absorbing and astonishing portrait. These documents, brought to life in this film by some of our contemporary icons and stars, give us a new and revelatory understanding of Monroe, revealing her carefully guarded inner life. Marilyn Monroe was an actress who at the height of her fame abandoned Hollywood to study acting with Lee Strasberg—in a room of resentful unknowns, because she wanted to be taken seriously. In Marilyn Monroe, the magic of a once-in-a-generation talent, and the reality of so many women caught between strength and insecurity, love and career, are amazingly united. Relieved of the task of "playing" Marilyn Monroe, the actresses in Love, Marilyn interpret her words for us, their own experiences deepening our understanding of Monroe's own. * Love, Marilyn is now playing at New York City's Film Forum for an exclusive, 2-week run. From November 30th through December 11th.